Experts suggest these fundamentals will help Florida adapt to sea rise and other impacts of climate change. 1. Help Floridians understand climate change and its impacts, already underway. The recent National Climate Assessment makes clear the need for Florida to quickly reduce risk and work on solutions and adapting to climate change, from protecting the elderly from hurricane hazards to shoring up the Florida hospitals facing more storm-related flooding. One of the authors, UF climate scientist Andrea Dutton, warns that climate change puts hundreds of billions of dollars at risk when it comes to sea rise alone. But it’s hard to make progress until Floridians understand they’re at risk. Jim Culter, senior scientist with Mote Marine Laboratory in Sarasota, said public perception of climate change must become more realistic, including understanding that scientific projections tend to be conservative. “Consider that virtually all past projections of CO2 increases and resulting effects of climate change have been too conservative,” Culter said. According to the Yale Climate Opinion Maps 2018, about 70% of Floridians believe climate change is occurring, but fewer than half think it will impact them personally. 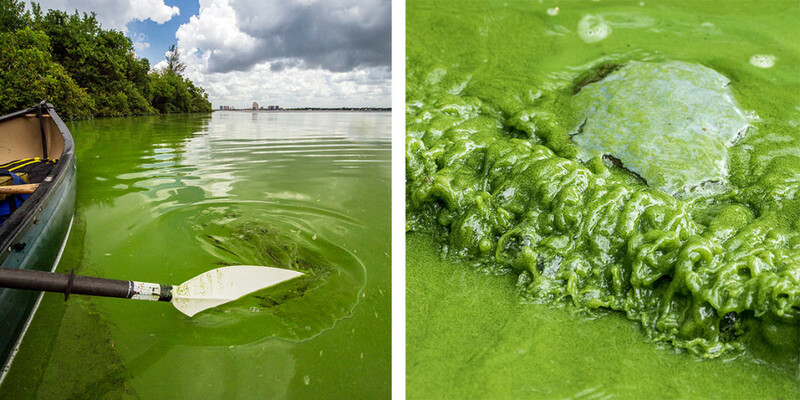 Toxic algae clogs the Caloosahatchee River near Fort Myers in summer 2018. Photograph by John Moran. The belly-up fish on Florida’s beaches and harmful algae clogging many south Florida waterways this summer are good enough reasons to improve Florida’s water quality. But Mote scientist Emily Hall explains a commitment to clean water also makes us more resilient to climate change, with upgrades to wastewater treatment and restoration of wetlands that can buffer Florida from more-severe storms as they clean up pollution. She recommends cutting off pollution at the source as the most important part of the solution: Installing more efficient wastewater plants; cultivating more wetlands; lessening runoff into bays; and reducing CO2. Antonio Bravo, director of communications for the EPA’s office of wetlands, oceans and watersheds, said the National Estuary Program (NEP), is a good starting-point for people and communities to come together to learn about climate change and take action for clean water at the same time. From green infrastructure to smarter septic tanks and projects to avoid polluted runoff, support is available through the 28 NEPs, four of them in Florida in Tampa Bay, Sarasota Bay, Charlotte Harbor and the Indian River region. 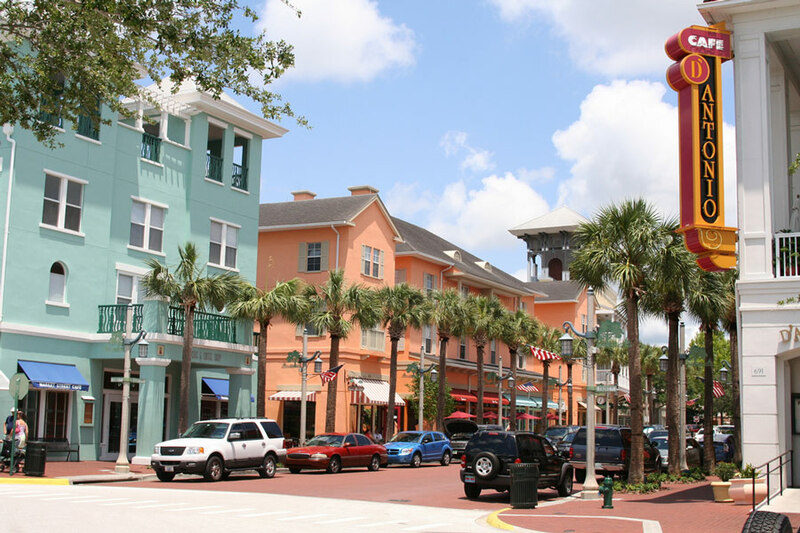 “Greater density and retention of natural areas, vertical development, mixed-use, and transit-oriented design reduces investment in new infrastructure and financial risk,” said Pierce Jones, director of UF’s Program for Resource Efficient Communities. Instead of spread-out neighborhoods, our infrastructure could be condensed. With commercial and residential in close radius, the cost of living decreases and the amount of green space preserved increases. With more compact living and mixed-use neighborhoods that combine commercial with residential buildings, people pay less for gas and are inspired to walk instead of drive. Vertical living limits the number of lawns, reducing water and fertilizer use, and allows for conservation of undeveloped land. It’s a smarter way to live in the face of climate change, for reducing CO2 emissions and polluted runoff, and conserving natural landscapes. 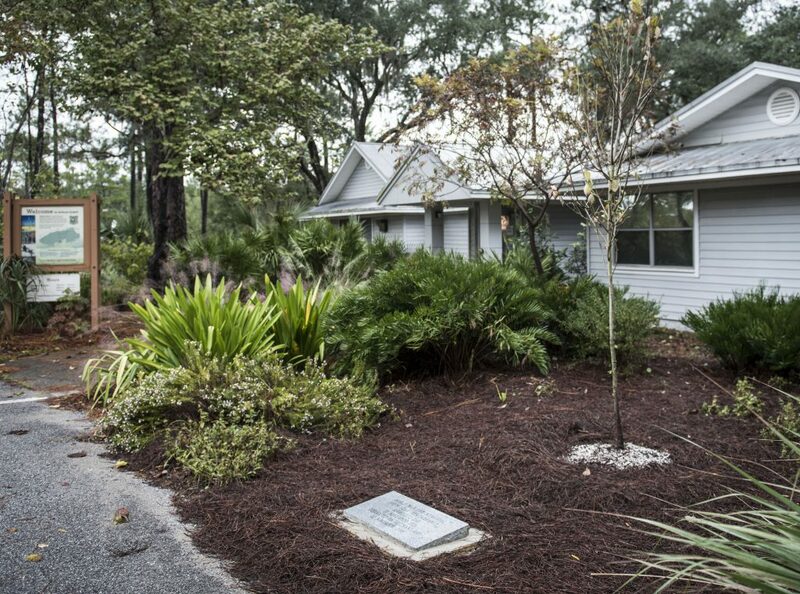 “Florida Friendly” landscaping at the Jackson Guard building in Niceville requires no irrigation. Floridians use about half their potable water on lawns. According to the U.S. Geological Survey’s 2015 water use census, Floridians use about 3.6 billion gallons of freshwater a day. While Florida seems to be sloshing with water everywhere you look, the abundance may be deceptive, says UF water resources professor Chris Martinez. 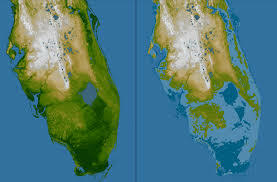 Florida’s inland population could increase along with sea levels, and with more people comes more strain on water resources. Besides conservation, Martinez proposes alternative water supplies as important solutions. These “could include reclaimed water, desalinated water, and storage,” he said. “We don’t have many reservoirs in Florida, but there’s a number of utilities that are transitioning to it.” Floridians should not only focus on the present, he said, but develop sustainable long-term plans for how to conserve and allocate water going forward. “Regional water impacts might be most important,” he said. Coastal wetlands are the front-lines of defense against sea rise and storm surge. Wetlands function as a natural protection from storm surge. When Hurricane Sandy struck the northeast in 2012, wetlands served as a buffer, saving an estimated $625 million in infrastructure damage. Considering how wetlands and other natural barriers help mitigate flood damage, they are a particularly important part of the solution as sea level rise, intensifying hurricanes and flash floods become more threatening. Dula Amarasiriwardena, professor of chemistry at Hampshire College in Amherst, Massachusetts, suggests that Floridians invest in “sustainable coastal development” to protect communities from potential flooding due to sea rise and hurricanes. To coexist with the changing environment, she said, restoration of Florida’s natural barriers is particularly important, for example, “preserving the mangrove communities and the saw grass marshes.” By protecting and maintaining these natural shields, she said, coastal communities might be able to bide some time. Florida’s Brightline rail will take an estimated three million vehicles off the roads, reducing the state’s carbon footprint and pollution. In his climate solutions book Drawdown, environmental author Paul Hawken suggests high-speed rail as a key for lowering carbon emissions and revitalizing urban areas. 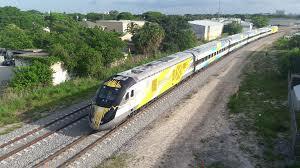 A private company, Brightline, has implemented high-speed rail between Miami and West Palm Beach with a stop in Fort Lauderdale. The South Florida train already transports around 6 million residents and tourists, and future plans would extend the route up to Orlando. Another proposed route would relieve the gridlock between Orlando and Tampa. 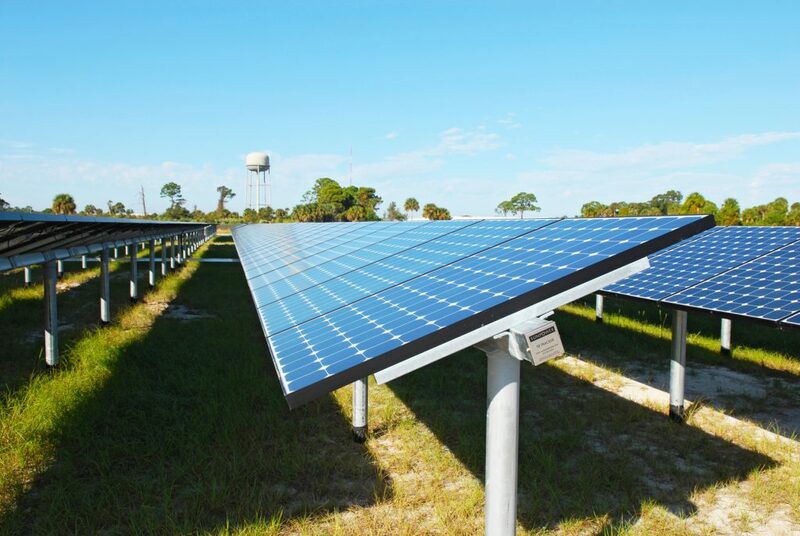 Solar farms are finally becoming more ubiquitous in Florida. 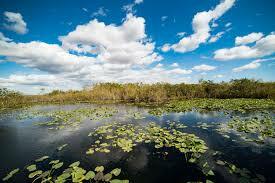 Florida’s primary energy source is natural gas, according to the US Energy Information Administration (EIA). Gas for vehicles comes in at a close second, and coal is third. Going down the list, it’s clear that Florida relies predominantly on unsustainable energy sources. Despite being nicknamed the Sunshine State, Florida is 8th in solar generation nationally, according to the Solar Energy Industries Association. The association also reports that Florida’s solar policies lag behind many other states’: The state has no renewable portfolio standard, and does not allow power purchase agreements, two policies that have driven solar investment in other states. Between prices dropping for solar panels in the state and regulatory relief for solar companies such as Sunrun, Florida may soon live up to its nickname. Florida regulators this fall reevaluated the sale of solar panels, and have agreed that they are not required to be distributed through utility companies, the only entities allowed to make electricity sales.